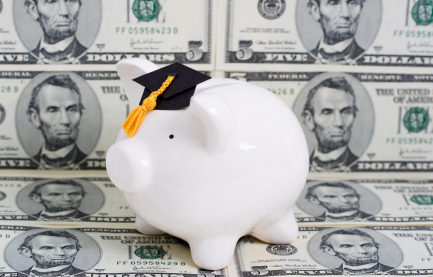 Will Attaining a Degree Get You a Raise? You did it! You are now (or almost) a college graduate. Despite the frequent relocations, deployments, job changes and other things that make military life interesting, the degree is now yours and you can expect to make more money, right? Well, sort of. Generally speaking, earning a degree is always a good idea. According to the Bureau of Labor Statistics full-time workers with a bachelor’s degree, who were 25 and older earned a median of $1,066 per week in 2012. During the same time and at the same age, workers with a high school diploma earned $652 weekly and those with some college earned $727 weekly. What’s more, The College Board’s Education Pays 2013 reports, “During a 40-year, full-time working life, the median earnings of bachelor’s degree recipients without advanced degrees are 65% higher than the median earnings of high school graduates”. So, yes, you can expect to make more money. However, this idea of ‘more money’ applies to the job market in general, not specifically to the work place you are in. In other words, earning a degree in Job A doesn’t mean you will automatically make more money or get a promotion in that same workplace as a result of your degree. If you are tempted to have that discussion with your manager, get answers to these questions first. Hint: Start with your HR department. What is the pay range for the position you hold? No matter how much an employer liked your background during the hiring process, their goal was to get the highest qualified applicant at the lowest possible cost. Most companies already have established pay ranges for every position. Once you find out where your salary falls in that range you will better understand your chances of getting a raise and have a rough idea of how much you can reasonably ask for. For example, if you were hired with a salary of $25k for a position that is ‘on the books’ as $25k – 35k, earning a degree in a related subject and showing your contributions may give you a good chance for a raise, but not one that will exceed $35k. However, if you were hired at $35k for that job when you didn’t have a degree, having one now won’t help your case. What are the normal policies, timelines and alternatives for raises? Most companies have clearly written policies about when and how pay raises are to be given. In most cases, there are performance reviews held at specific times of the year. In concert with this review, pay raises, promotions, bonuses and the like are often tied to the ratings you receive. There is typically a maximum increase allowed through this process. Understanding how all this works before broaching the topic of a raise will definitely help you with the timing and the strategy of asking for a raise as well as give you the advantage of knowing what the employer thinks about your work. While managers are not likely to go outside the parameters of allowable salaries and raises, they may be willing to extend non-salary perks. Review the quality of life offerings your company has and decide if any of them will work for you. For example, you may be able to request a schedule change to work 40 hours instead of 60; work a compressed schedule to have a day off each pay period; become a salaried employee rather than an hourly one; or, telecommute a few times a month. These types of perks are often easier for managers to grant than are pay raises. How important is this degree your job? If experience and education are equally important to your job and you already had the experience when you were hired, then the degree isn’t likely to get you any further up the salary ladder for this position. But, it might help you get you an opportunity to try out new jobs in the company that could give you the experience needed to move to higher paying jobs. Ask for professional development and special projects that can expose you to areas related to your degree. Then, keep an eye out for internal positions to which you can apply. At the same time, scope out the external job market to see what salaries are advertised in other companies for positions that match your degree. If the going rate is significantly higher across the board, applying for external positions might be your best bet for a salary boost. For example, if you are an administrative assistant whose salary is $25k and the range for your job is $20k -30k, a degree in an unrelated area isn’t likely to boost your paycheck. However, if you are an IT administrative assistant and you now have a technical degree in IT, you may have a chance at more responsibility, a raise or a new position, internally or externally. After careful assessment of your employer’s pay and promotion policies, the internal and external salary rates, and the situation under which you are hired, you will be better able to determine whether and how to ask for a raise. If you do ask, make sure the focus is on what you can do for the company, not what the company can do for you. Start with your past and present contributions, especially those on the performance appraisals, but go one step farther by making it clear what you can contribute in the future with this newly attained education. In the best case scenario, you will know all this information well before you actually finish the degree.